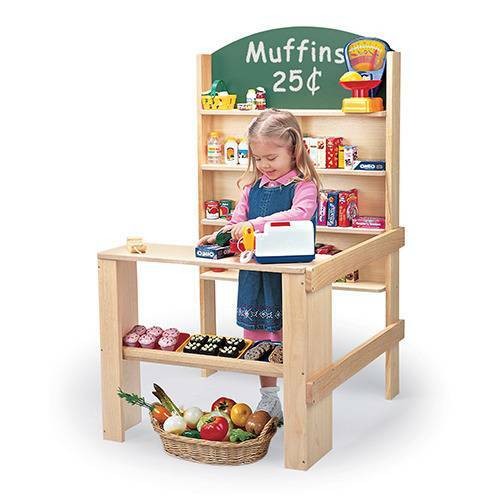 Measures 29" W. x 34" D. x 50" H.
Numerous, solid wood shelves and a chalkboard marquee make this Market Stall the perfect setting for displaying grocery store or farmer's market foods. Measures 29" W. x 34" D. x 50" H. Counter is 24" H. ( Accessories sold separately.) Ages 3 yrs. +.